Innovation can be defined in many ways. Some consider innovation a service that focuses on the latest technologies–wearable technology, smart TVs, and high-powered computing all come to mind when I hear the word innovation. Fostering innovation can also be viewed as an alternative way to solve an existing problem. While the conversation of innovation can be discussed long after this post is written, I had the unique privilege of seeing innovation in action as I recently attended the #DevLearn 2015 Conference and Expo in Las Vegas, Nevada. 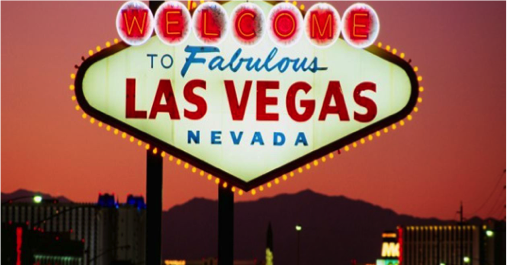 We all know the saying…“what happens in Vegas, stays in Vegas”, however, we’re going to make an exception right now. The conference theme this year was “Innovation in the Making”, which explored cutting edge learning technologies, how the digital space has changed the concept of learning, the emergence of massive open online courses (MOOCs), and the growth of digital badges. All of these emerging concepts play a major role in how higher education institutions and corporations are supporting learning as every day passes. It is important to note that whether we like it or not, the traditional style of learning is a thing of the past and there is a divergent force of innovators and educators primed to move education to the next level. Integrating innovation and continued excellence into distance education is a major priority of DEAC as the landscape shifts every day. The Internet of Things (IoT): From the convergence of wireless communications and applications, to the emergence of wearable technologies, technology has clearly changed the way people live. It’s time to understand how this concept has changed the way people learn. People are more mobile than ever and want things in real time and on-demand. This paradigm shift creates opportunity for educators to evaluate how they use technology to reach the next generation of learners. At the Corner of MOOCs: Whether you like the trend or not, MOOCs are continuing to emerge and provide open access to learners to gain skills and knowledge that perhaps were not previously available. We may need to see corporate training and higher education at this intersection in the near future. But will this trend continue to advance or have we hit a tipping point? Playing Games: At first glance you may ask: GAMES? Are we talking about PlayStation 4 or Xbox One? No, we’re talking about institutions and corporations looking to social gaming as an innovative solution to assess student learning and corporate training. Badges Unlocked: Badges are a digital representation of achievements and skills, are interoperable, and are based on rigorous design and assessment. When issued by recognized brands and accredited colleges, open badges convey trust and serves as a means to supplement degrees, filling the skills gap. How does the integration of badges shift the accreditation landscape? Connecting the Dots: In referencing the abstract strategy game named “Dots”, part of being innovative is not just seeing the dots but it’s seeing the connection between the dots. Innovators see dots beyond the status quo and are making the connections to enhance learning in diverse environments. Join the conversation. How do you think emerging trends and innovation are impacting distance education? Lissette Hubbard is the Manager of Institutional Development & Assessment for the Distance Education Accrediting Commission (DEAC). She has been part of the DEAC team since 2007. This was written by DEAC. Posted on Friday, October 16, 2015, at 10:19 am. Filed under Entry. Bookmark the permalink. Follow comments here with the RSS feed. Both comments and trackbacks are currently closed.